Two new collections were released yesterday for Sunflower — a 6 and a 12-inch version. With the permission of Linda Franz, the inventor of Inklingo, I grabbed the above shot, which can be seen at the Sunflower Gallery of Quilts — it’s just one of many options shown on that gallery and they’re well worth looking at. These shapes really are exciting to me as the design possibilities with them are seemingly endless. 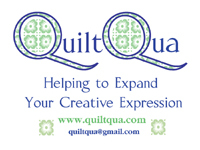 I know I’ll be making more than one quilt using these shapes. 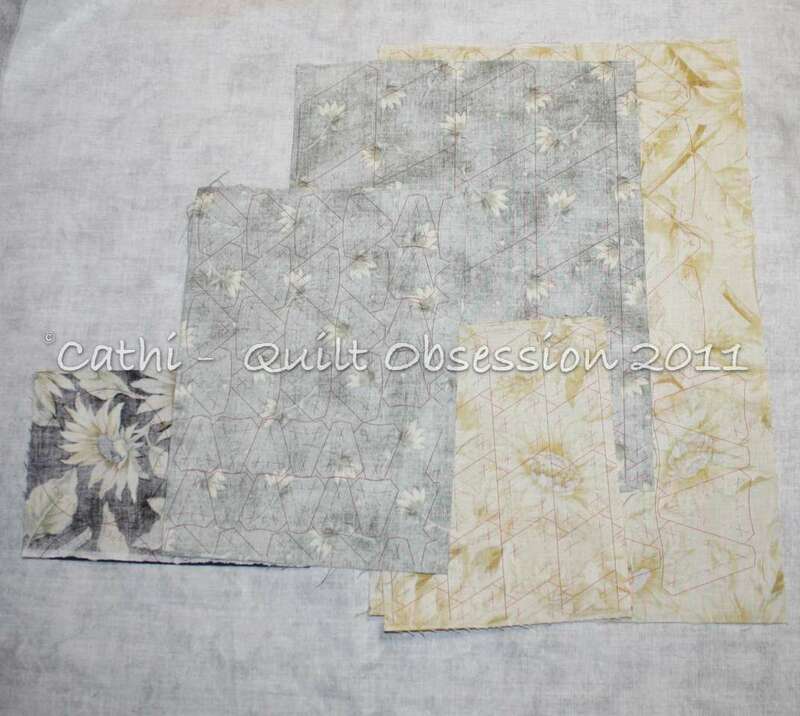 As soon as the collections were released and I had a few minutes to review the Sunflower Design Book , which is absolutely fabulous, I had my fabrics picked out and had printed the shapes for two blocks. The design book is, for now, free and is well worth downloading as it’s absolutely stuffed full of great tips about techniques to stitch a sunflower. 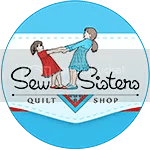 If you click on the above picture to enlarge it, you can see the printed stitching and cutting lines and the matching points. I started making the first of the two circles of diamonds and triangles and can’t wait to play with the design possibilities with other fabrics. The diamonds in this circle are .74″. 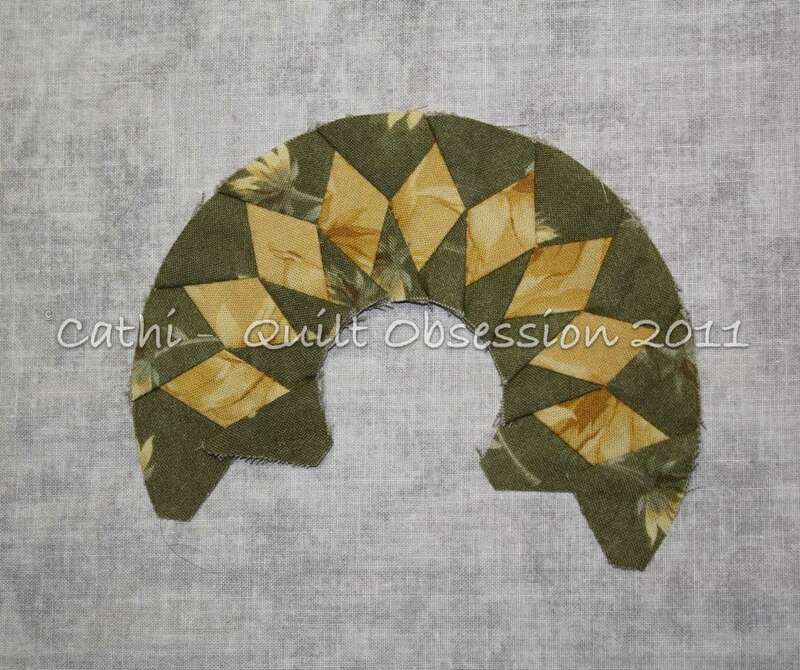 Lots and lots of continuous stitching possibilities and, of course, curved piecing. I couldn’t ask for anything more. The ideas are just flying through my mind! It presses like a dream too — the back of what I’ve done so far. It’s going to be so exciting to put the first block together that I can’t wait to finish it. Smudge was not so impressed until I sat down on the couch and he could drape himself over my legs while I started to stitch. Then he was happy. Lester looks as though he was studying the design, watching as I stitched. Did you even sleep at all? This is a very neat set of patterns! 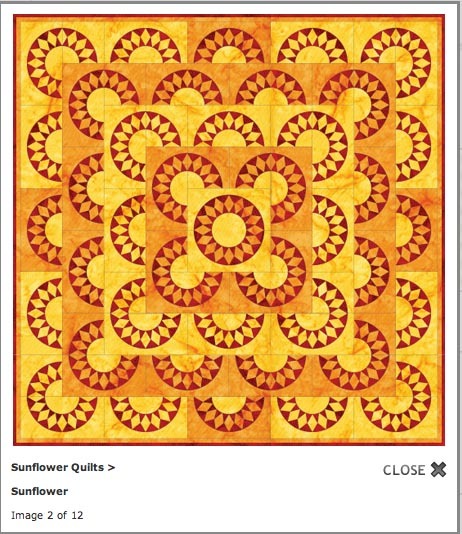 I love Sunflowers and your fabrics are just right! Have fun with that! And the 2 little critics can just take a nap! Great start to wonderful blocks! Wow, you don’t waste any time! Love the new design and pattern. Looking forward to seeing your progress. Again Your work blows me away! 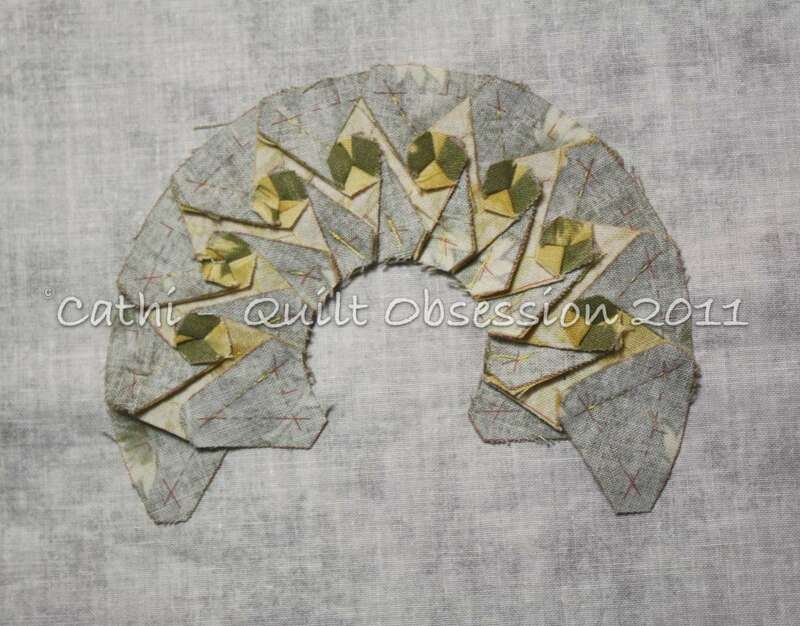 OMG another spectacular quilt in the works! I can enjoy all of the intricate shapes that are hard to do by machine by watching you work. Very pretty! While I haven’t sewn any sunflowers, I have been planting them in all different areas! 🙂 The bees will thank me later. Smooches to Smudge and Lester! Wow – it didn’t take long to get this one started! 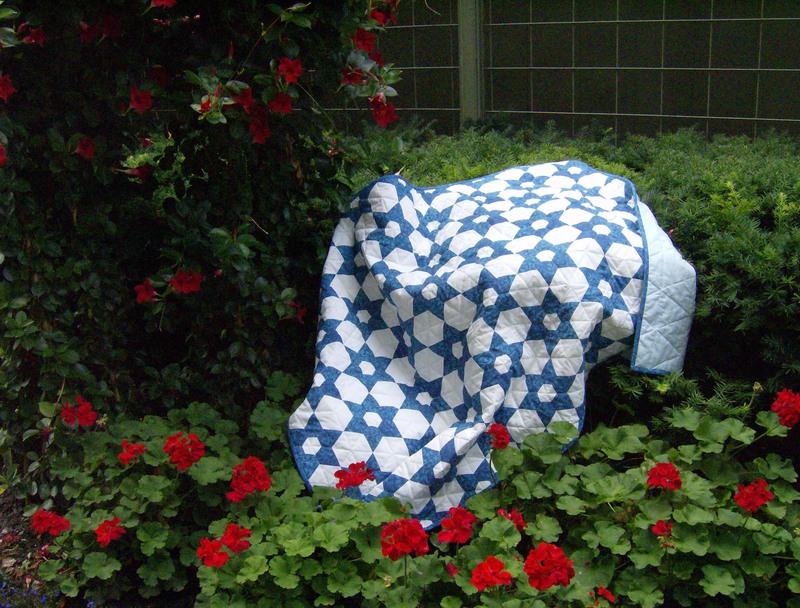 Of course Smudge and Lester were checking it out, they are quilt quality control officers. 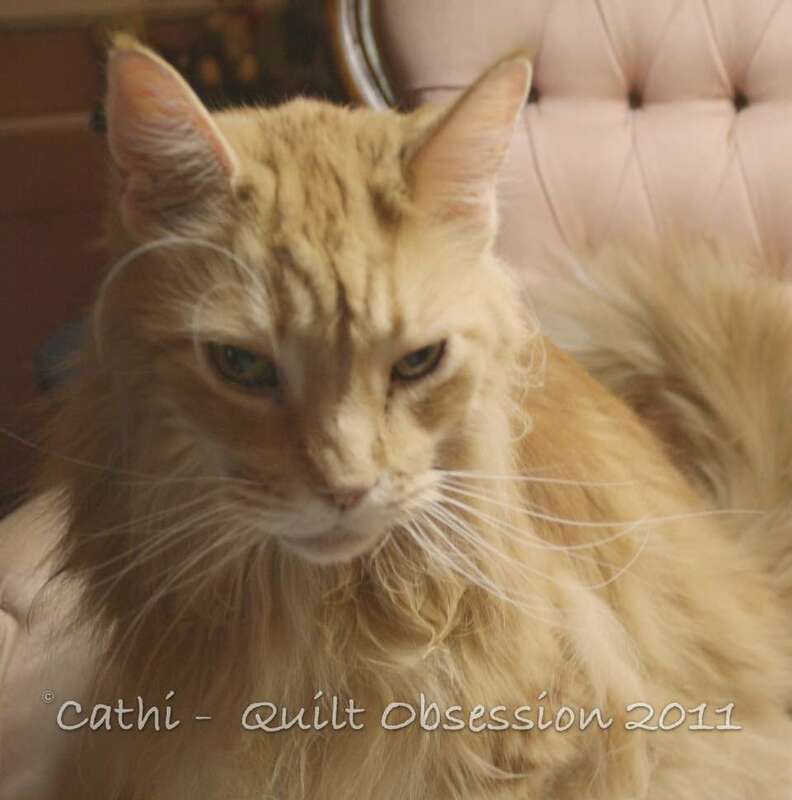 A very cool looking block Cathi. I recognized the possibility for continuous stitching right off and knew you would be in love LOL. It’swonderful. 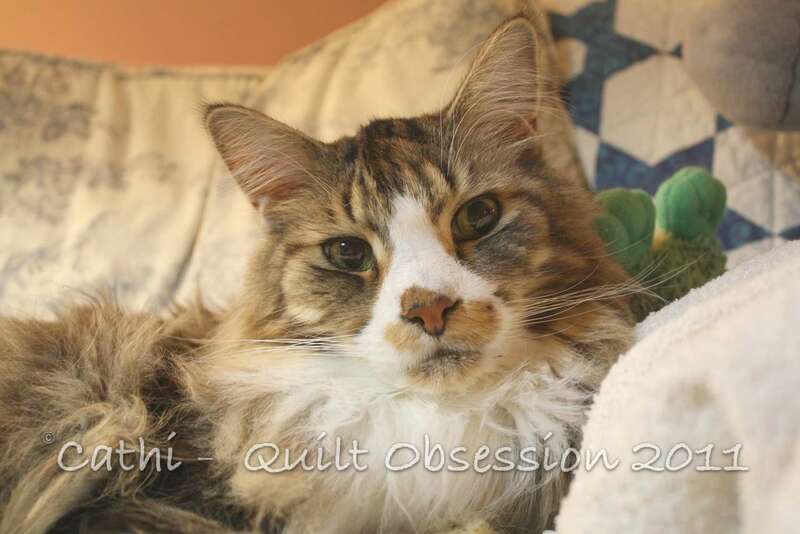 You make me feel like a slacker–maybe I’ll go take a nap with Smudge and Lester!